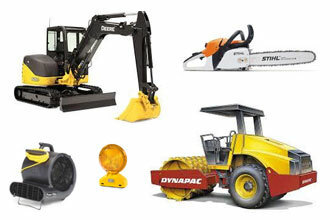 We offer a full line of rental equipment for contractors, homeowners, and industrial environments. 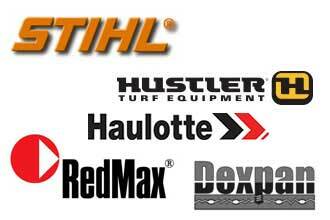 We are proud to offer new equipment from top manufacturers at competitive prices, with service after the sale. 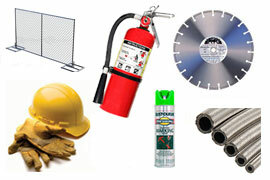 For all your projects and jobs, we carry all the supplies and accessories you need. Stop in today to find what you need! From homeowner services to industrial services, we are here to help. Check out our variety of services today! 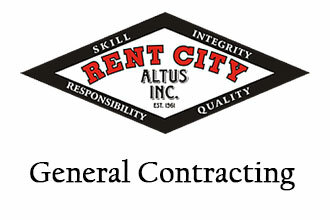 Rent City of Altus specializes in Equipment Rental and General Contract work. We take special pride in the craftsmanship we provide -- a fact you’ll notice immediately in the attitude and integrity we bring to your project. Rent City of Altus is locally owned and operated, and has been providing honest and reliable service to Altus OK as well as the neighboring communities in Southwest Oklahoma & North Texas for over 58 years!